Leslie S. Rowland is an associate professor of history at the University of Maryland and the director of the Freedmen and Southern Society Project, which is compiling a multivolume documentary history of the transition from slavery to freedom. She is a co-editor (with Ira Berlin, Barbara J. 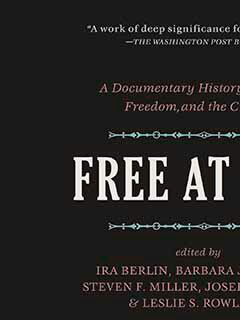 Fields, Steven F. Miller, and Joseph P. Reidy) of Free at Last and (with Ira Berlin) of Families and Freedom, both published by The New Press.